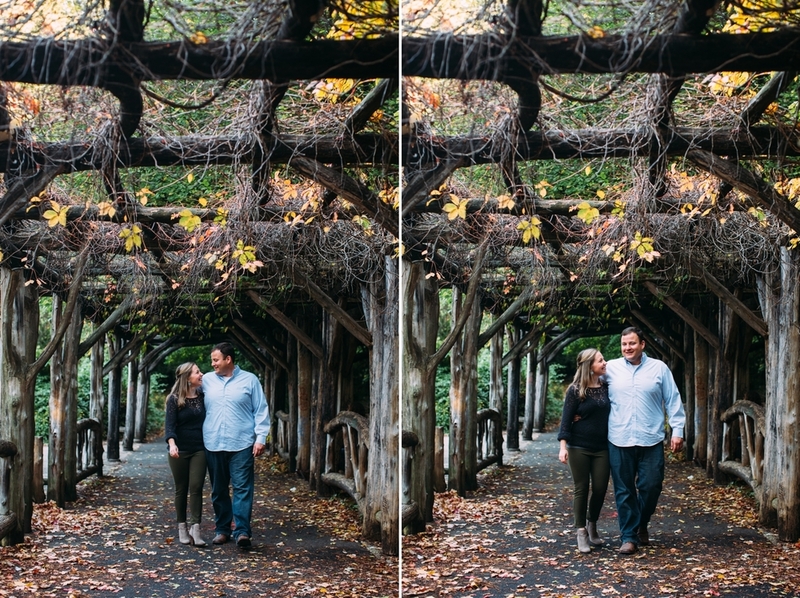 Sarah & Eric | Engaged! 2015 ended with a wonderful engagement session of Sarah and Eric, who will be married in October. This lovely, playful, and talented couple met on the national tour of Young Frankenstein the musical. Sarah is a triple threat actress, and Eric is a trumpet player. Thus, it only seemed natural that we stop to photograph them at the arts mecca, Lincoln Center. Together they are a dynamic duo, and I can not wait to capture their wedding this fall. Congratulations you two! Sean & Tess | Engaged! What a joy to spend a fall afternoon in Philadelphia's Rittenhouse Square with Sean, Tess, and their adorable dog Bandit! Sean and Tess, thank you for inviting me to create photographs in a place meaningful to you both. Your wedding next fall will be beautiful, and I'm excited to capture the next chapter of your love story. Ellie & Patrick | Engaged! Ah, autumn in New York. The air is crisp, trees create a painterly scene with their vibrant leaves, and the outdoors become a perfect backdrop to capture a couple in love. Ellie & Patrick, who met while in the same choir, will be married this December. I can not wait for their winter wedding! Daren & Hilton | Engaged! 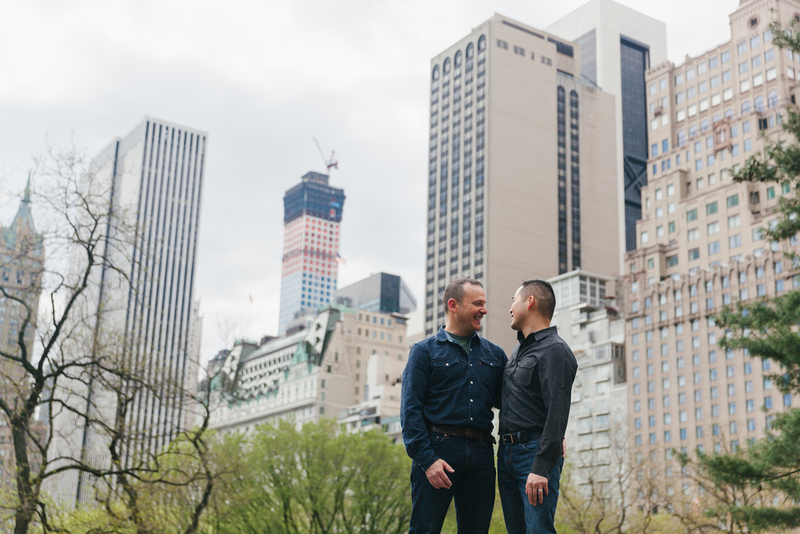 Manhattan was the perfect backdrop to capture the love of Daren and Hilton. Not only did I make pictures with this incredible couple, but their family as well! Daren's Mom Yvonne, their son Jacques, and adorable dog Peanut all joined us at their home in the Financial District. What a beautiful family, inside and out. Thank you for having me document your bond, and congratulations on this new chapter in your lives. Stay tuned for images from Daren and Hilton's City Hall ceremony!